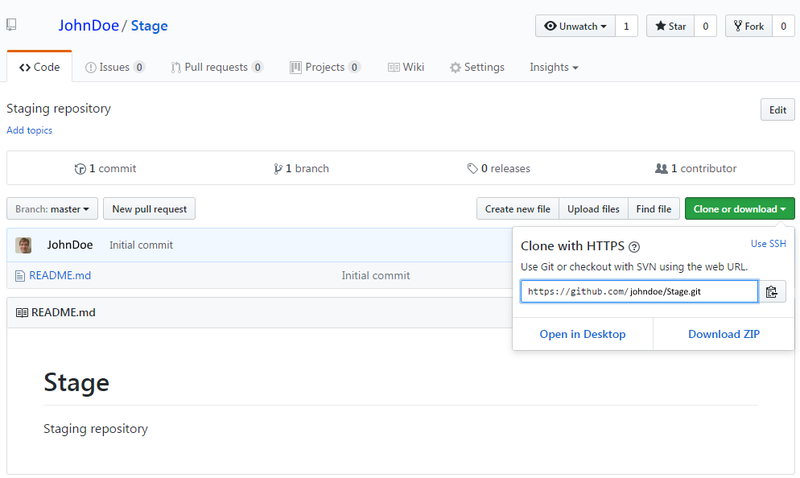 Let's take an example where you want to download files from a certain repository on https://github.com. In this example, John Doe has a repository named Stage that contains one file, README.md. Launch Git Gui, and select Clone Existing Repository. Enter the URL of the remote repository, enter the local target directory, and select Clone. In this example, John Doe's filles in a repository named Stage was sent to the local machine, using the alias origin. Git can also be used to fetch, pull, and push files from another computer in your LAN. Let's take an example where shared network drive N:/example/ contains a .git repository. Launch Git Gui, and select Clone Existing Repository. Enter the path to the local .git repository, enter the local target directory, and select Clone. 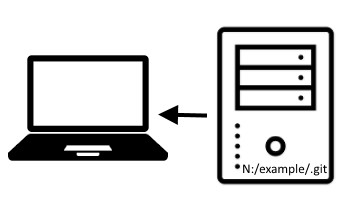 In this example, the files at N:/example/ are sent to the local PC.